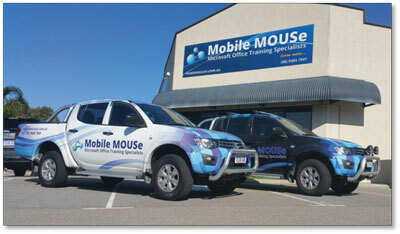 Mobile MOUSe is a leading Microsoft Office Course Provider in Perth, Western Australia. 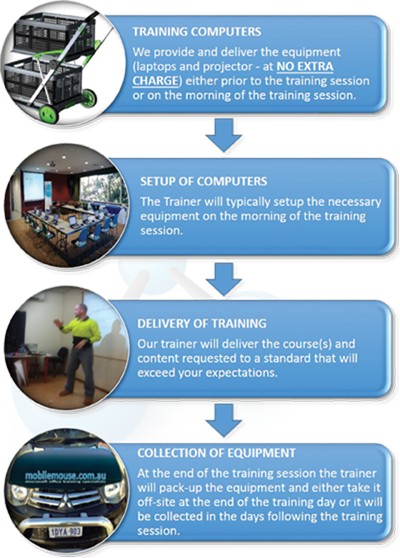 If you are not sure which Mobile MOUSe Training Course is the right course for you, why not take one of our zero obligation online skills questionnaire? We take so much pride in our venue and it is the furtherest thing from a "sterile" learning environment. We want people to feel at home when they walk in our door, we constantly receive so many compliments about our venue. 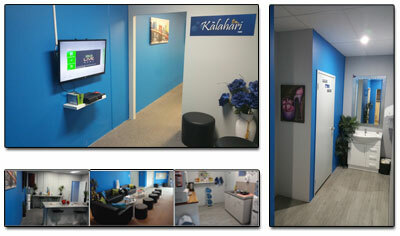 We have 3 primary training rooms. Each training room has between 10 and 16 state of the art large screen all in one computer systems with comfortable high back and or executive chairs. Each training room is also fitted with chilled water machines. Please note that the bean coffee machine dispenses various bean coffee variations at a cost of $2 per cup. Free Parking. There is free all-day parking at our venue as well as free road-side parking. Students can access their work email and internet for free via our venues' courtesy iPad's. The classroom computers do not have internet access (to keep students focused on the training session). Our venue is 15 min from the city via Fitzgerald Street / Alexander Avenue. Our venue is readily accessible to almost all areas and is fed by most of Perth's main arterial roads such as Tonkin Highway, Reid Highway, Wanneroo Rd, Alexander Avenue and Beach Rd. In additiion to the snacks provided, there are many shops, take-aways and lunch bars within walking distance of our training venue. 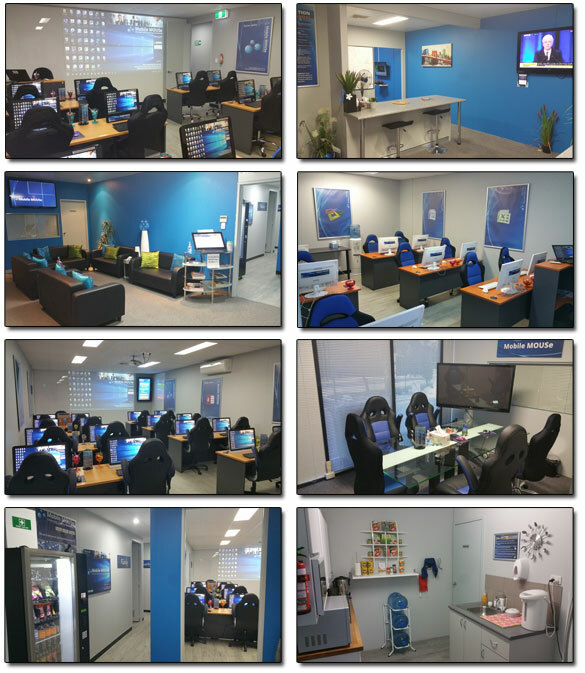 In addition to offering onsite computer courses, we can also accomodate your company by exclusively booking one of our training rooms purely for the purposes of us conducting training for your staff. Note that with this InHouse corporate training we also offer the option of catering.